Many patients have tried a long list of skin care products, and they almost always end up with a dull complexion. If this describes your situation, then dermaplaning could be worth considering. This is a popular cosmetic procedure that can be very effective for exfoliating your skin. Dermaplaning removes dead skin cells by using a specialized instrument that gently exfoliates the surface of the skin. During the treatment, vellus hair (peach fuzz) is also removed from the skin surface, leaving it soft and smooth. Since it’s a non-invasive treatment, there isn’t any downtime, and it leaves you with renewed skin which looks and feels amazing. Many patients have compared the experience to shaving their legs. How It Works When the treatment starts, your face will be cleansed and dried. The next step consists of removing dead skin cells and hair from the face. An average treatment session shouldn’t take much longer than 30 minutes, and you’re recommended to get treated every four to six weeks. Your personal rate of hair growth plays a role in how often you’ll need maintenance treatments. Since it’s a non-invasive treatment, dermaplaning is one of the safest options available. It poses a low risk for complications. It’s quite common for patients to believe the myth that peach fuzz hair will grow back darker and thicker, but fortunately, this isn’t true. What Are the Benefits? 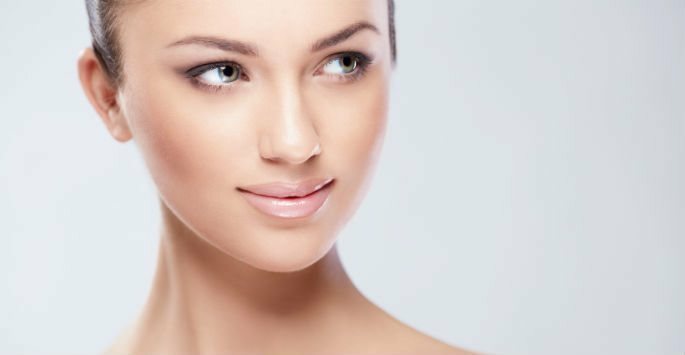 Dermaplaning offers several great benefits. The treatment can sound harsh, but it’s one of the gentlest forms of exfoliation available. It doesn’t involve the use of chemicals, so it doesn’t come with the harsher side effects of chemical peels. The lack of chemicals also eliminates the need to worry about allergies. When compared with microdermabrasion, dermaplaning is actually much more precise. You won’t find any other exfoliation treatments that are able to remove peach fuzz hair. Once the treatment is finished, you’ll have a smooth canvas, so you’ll enjoy putting on makeup. Are You a Candidate? Dermaplaning can be effective for any type of skin. However, it tends to work best for maturing or dry skin. Since older skin regenerates at a significantly slower pace, it leaves behind more dead skin cells, which is why it’s perfect for dermaplaning. This treatment option is ideal for women who are pregnant because it doesn’t involve the use of chemicals. Most pregnant women prefer to avoid chemical peels, so they choose a safer alternative. The lack of chemicals makes dermaplaning a safer option, and it eliminates the potential for adverse health effects. Some people believe that dermaplaning is nothing more than shaving the skin, so they try to do it at home. This isn’t true, and it should only be performed by professionals. What Dermaplaning Can Do for You There are several different reasons to consider this treatment option. When performed by our trained professionals at ReFresh Aesthetic Center in Whitefish Bay, it can diminish the appearance of mild surface wrinkles. It can also improve skin texture, smooth acne scarring and correct an uneven skin tone. The exfoliation process is even effective at unblocking blackheads, removing fine facial hair and generating new, healthy cells. If you’d like to improve the texture, tone and appearance of your skin, dermaplaning can help. Contact us today to schedule your consultation.